Three decades ago, 20 years of internal conflict had left Ethiopia fragmented and unable to respond adequately. Today it has enjoyed two decades of stability, a decade of strong economic growth, and 10 years of experience successfully implementing a large-scale food security effort – the Productive Safety Net Program (PSNP). The response to this crisis is also different. 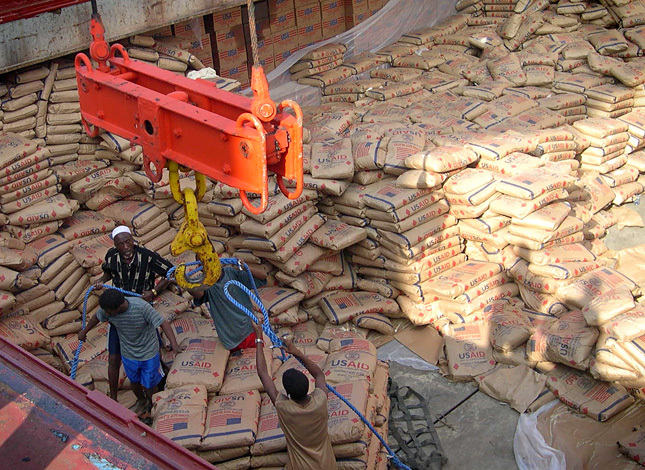 The Government of Ethiopia is expanding the coverage of the PSNP from the 8 million it was already serving to millions more food-insecure Ethiopians, and committing enormous resources to do so. The U.S. Agency for International Development’s response is different too. In addition to traditional humanitarian assistance, there are modifications built into development programs that enable rapid injections of humanitarian funds into some activities and the re-prioritizing of activities for others. These crisis-triggered modifiers are part of USAID’s commitment to building shock-resistant communities through coordination of effort and layering of development programs. Guided by the 2012 Resilience Policy, and coordinated by the newly created Center for Resilience, USAID is focusing on building resilience among communities vulnerable to repeat climatic shocks, such as those in parts of Ethiopia and Somalia. Building the resilience of communities, countries, and systems is a complex effort that relies on coordination between multiple fields such as health and education and economic growth. It can involve strengthening support networks and disaster readiness and response capabilities at local and national levels, reducing reliance on climate-sensitive income activities, or introducing better seeds and agricultural technologies, among other efforts. Whatever shape resilience projects take, the end goal is for communities and countries to develop a set of capacities that help them withstand and recover from climatic crises, like the current drought in Ethiopia. USAID’s resilience-building efforts also necessarily focus on supporting and building on country-led efforts, such as the government of Ethiopia’s PSNP, the government of Kenya’s Ending Drought Emergencies strategy, or the government of Niger’s 3N – les Nigériens Nourissent les Nigériens. By supporting these initiatives we strengthen countries’ abilities to plan and prepare for disasters, as well as respond when the need arises. Through our support, these governments are able to extend their safety nets to greater numbers of beneficiaries, and for longer durations. USAID is then able to program assistance to fill gaps in the existing safety nets, targeting underserved communities and critical sectors. The USAID response to the drought in Ethiopia reflects the approach being guided by the resilience policy. A growing body of evidence confirms that households are better able to withstand and recover from moderate shocks, without compromising their food security status, if they have the right mix of resilience capacities. These take a wide range of forms, including improved agricultural production, non-climate sensitive income sources, basic education, and even increased social cohesion. Unfortunately a drought as severe as the one we’ve witnessed since last summer can still overwhelm the resilience capacities of many communities. It is important that the international development community sees the Ethiopia drought and El Niño broadly, which has also severely affected food security in Zimbabwe and elsewhere, for the exposing moment that it is, and commit to building resilience capacities among communities who are repeated victims of climatic crises. A 2013 study by the UK Department for International Development in Kenya found every $1 spent on disaster resilience produced $2.9 in benefits and humanitarian assistance saved. At the Center for Resilience, we are helping coordinate interagency efforts to build resilience in eight countries, including Ethiopia, in alignment with government priorities and in partnership with international donors and regional institutions. By helping communities build resilience we hope to reduce the human and economic cost of crises, and reduce humanitarian caseloads. We will continue to catalyze better coordination of USAID programming in other countries as we expand our focus. Our role in helping to combine multiple streams of funding – for example, from the Bureaus of Food Security, Office of Food for Peace, Office of U.S. Foreign Disaster Assistance, Global Health, and others – into a more holistic, comprehensive approach is an important sign of USAID’s commitment to helping communities escape the cycle of vulnerability caused by recurrent crises, and sustainably escape poverty. We’re just getting started. We’ve come a long way since 1983, but there’s still so much more to do. Greg Collins is the director of USAID’s Center for Resilience, and the Agency’s resilience coordinator. He has played a lead role in developing and operationalizing a strategic vision for resilience at USAID. Sources: Famine Early Warning Systems Network, UK Department for International Development, U.S. Agency for International Development. Photo Credit: Used with permission courtesy of USAID. 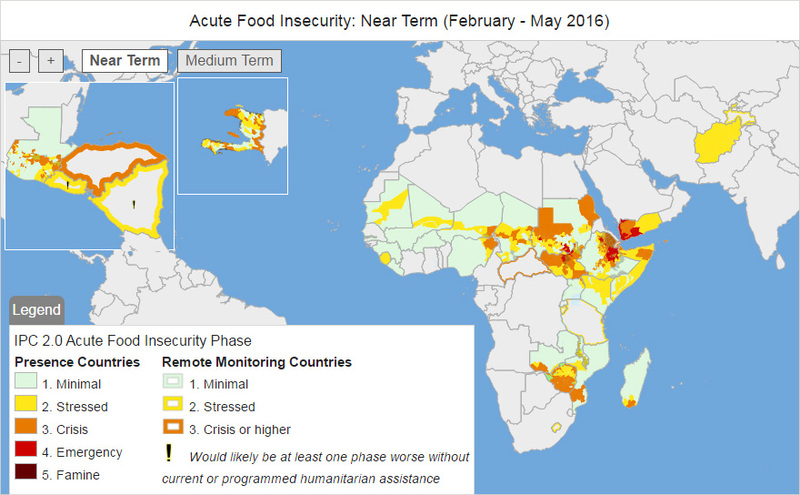 Map: Famine Early Warning Systems Network.